A fun and interactive workshop about how to creatively stimulate the perceptual skills your child needs for school-readiness. For parents of 2 – 5 year olds. The ‘how to’ for hilarious family fun with older children from eight to teens. For parents of children from 8 years to teens. Party ideas including themes, games and party food as well as gift ideas. Makes party planning a breeze. For parents of 2 – 8 year olds who attend a lot of children’s parties. Personal branding for teachers: no-one is ‘just a teacher’. An eye-opening staff development workshop for pre-, primary and high school educators as well as admin staff and an hilarious team building experience all in one. Personal branding in the workplace, particularly suitable for franchise organisations and network marketing groups. What’s stressing our children? Who is responsible and what can we do about it? Talk for pre- and primary school parents. We need to bring up children of substance, with a strong inner core, who will be able to adapt and adopt in a fast-changing world. Workshop for high school parents. Construction toys provide a creative and interactive way of reinforcing so many essential skills that bring learning alive for children. Every child needs to build! Come prepared to play in this workshop for pre- and primary school parents. Learn how to understand and overcome the noise of technology and the clutter of consumerism that runs interference between us and our children. Talk for pre- and primary school parents. What you need to know about tomorrow today, why you need to know it and what you need to do to prepare today’s children for a fast-changing world? Explore the X-factors for success in the new world of work and how to develop them in your children. Talk for pre- and primary school parents. In the high-performance business environment sometimes we need to get out of our heads in order to really connect with each other as human beings and for ideas to flow. Play, connect, relate in this fun, play-based team-building workshop. Let go and let grow! 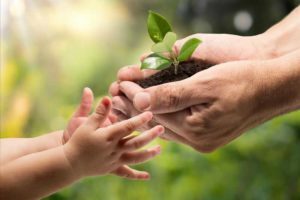 Letting go and letting grow are both essential to loving and parenting your children to enable them to survive and thrive independently of you in a fast-changing world. Suitable for parents of preschool and primary school. A poignant, fun and interactive workshop to help pre- and primary school parents with work-life balance. Discover how to stay connected to your children despite your busyness through the art of being truly present. 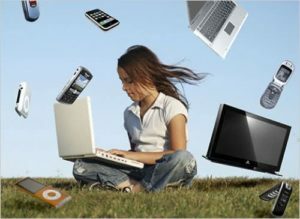 Tech, screens and connectivity dominate children’s lives today. Parents need to become tech-savvy so that their children become responsible digital citizens one day. For parents of toddlers through to teens. If the acquisition of information is no longer the primary goal of education, then the teacher’s role must be redefined. An interactive digital safety presentation for tweens and teens to inspire them on their journey to being media safe and savvy. Talk suitable for learners in grades 6 to 12. An inspiring talk that motivates and challenges learners to dig deep to become young adults of substance who can succeed in the new and exciting world of work in which they are their own best X-factor in terms of creating future success. Talk suitable for learners in grades 11 and 12. An annual event held every November where Nikki Bush presents her highly recommended selection of hot toys and games for 0 – 12 year olds. As the demands of the new world of work change, and as companies increasingly want their potential recruits to showcase X-factors for success in addition to, or over and above, their qualifications, so the traditional curriculum vitae will become outmoded. If your company is rethinking the talent conversation, or thinking about how you think about the attraction, development and retention of young talent, specifically, then this interactive and insightful presentation package by Raymond de Villiers and Nikki Bush is the right place to start. 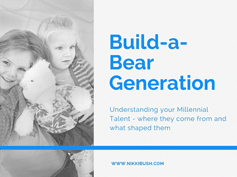 If you are employing Millennials, young people between 20 and 35 years, you are working with the Build-a-Bear generation. It is helpful to understand where they come from in order to know how to move forward proactively with them. Spending too much time trying to smooth the path for our children has become counter-productive and we should rather prepare our children for a fast-changing path. Collaboration is the new watchword in organisational effectiveness. It brings a new meaning to ‘together we can do more’. 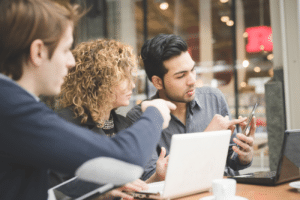 Millennials (20 – 35 year olds) collaborate naturally, it is one of the traits that defines the digital native generation.